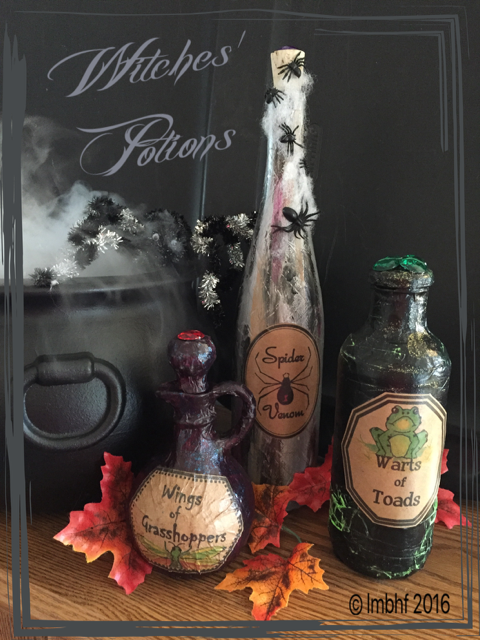 How fun are these Witches’ Potion Bottles?! 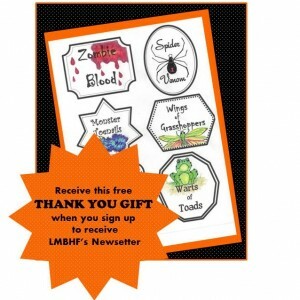 Perfect to create a spooky atmosphere for your home or Halloween party! Paint your bottles with dark Halloween colors. Smudge accent colors on top and glitter as desired. Allow to dry. Print out the labels for the potion bottles and cut them out. Cover each bottle and label with decoupage glue and allow to dry. Spray the bottles with clear coat. Use the hot glue gun to attach plastic gems to the tops of the bottles. 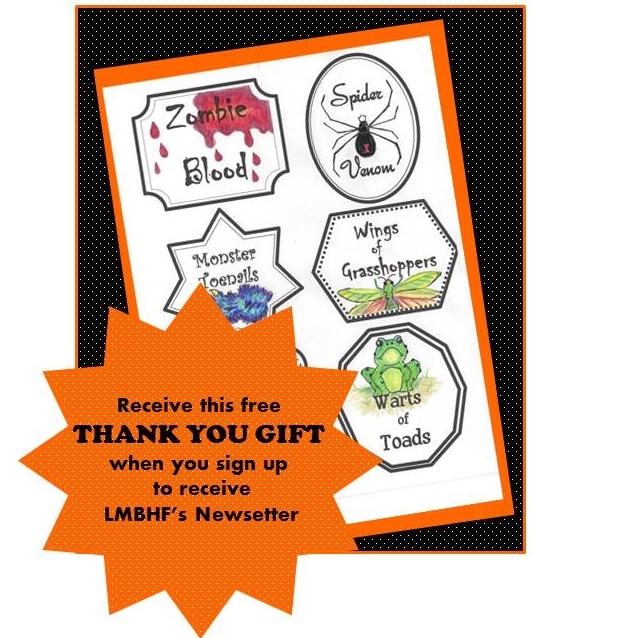 Get your free copy of Witches’ Potions Labels HERE. These are great! Love the idea of using masking tape to give the bottles some texture. Thanks Carolyn, the tape gives them a fun texture! Carolyn, the masking tape gives them a fun texture. Thanks for sharing. This is a really fun craft that I think my in-laws would enjoy doing together this weekend when we celebrate all things fall. Will keep you posted! Becki, I’d love to see your finished product! How fun and adorable! These are perfect decorations for the home. I can’t wait until my house is finished so I can start decorating my home with all these fun things. Thanks Megan! I have lots of fun decorating my home and I hope you will too!